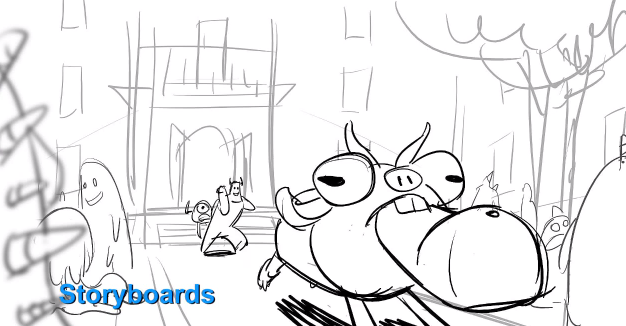 In early June, The Disney Insider blog shared a high-level look into the animation process of Monsters University. Today, in a video posted by Disney•Pixar you can now view that same scene starting from the Storyboards and going through Layout, Crowd Simulation, Animation to Final Lighting. 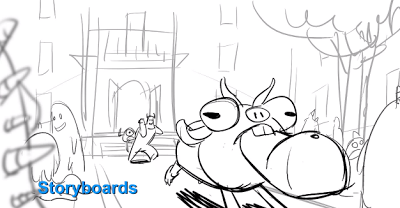 These animation progression videos always amaze us - it's fantastic to see how far animation comes from storyboards all the way through the final lighting. Our personal favorite moment of the video is seeing the final animation without the final lighting - what a difference lighting makes. I think we enjoyed the final animation so much because we were able to see all those extra little details in the background of the JOX fraternity house while Mike rides Archie. A similar progression reel was completed for Brave last year - if you haven't seen it, be sure to watch it as well (narrated by Director, Mark Andrews).